In the Thai language, Thailand means “The Land of the Free” and that is fitting because Thailand is the only South East Asian country to never be colonized by Europeans. 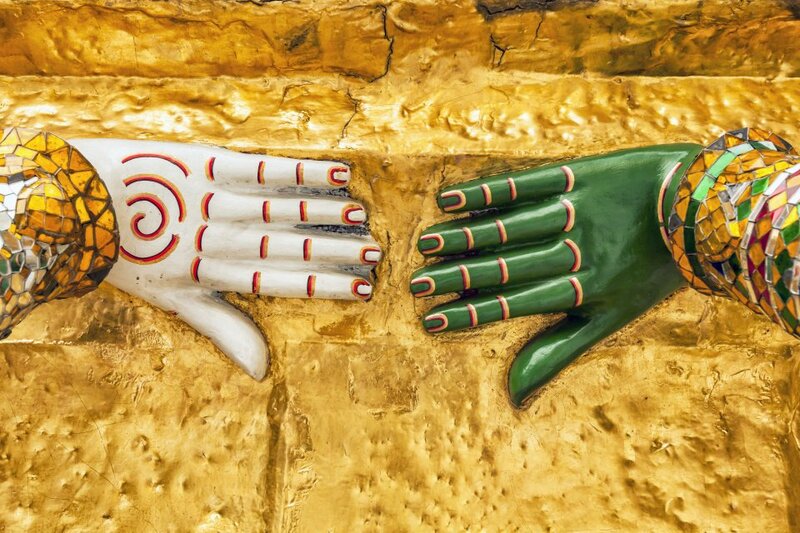 That individuality translates strongly to Thai customs, religion, art and identity. Considered to be the gateway to Indochina, Thailand has incorporated several foreign influences into its national character, including China, India, Burma, Laos and Cambodia. 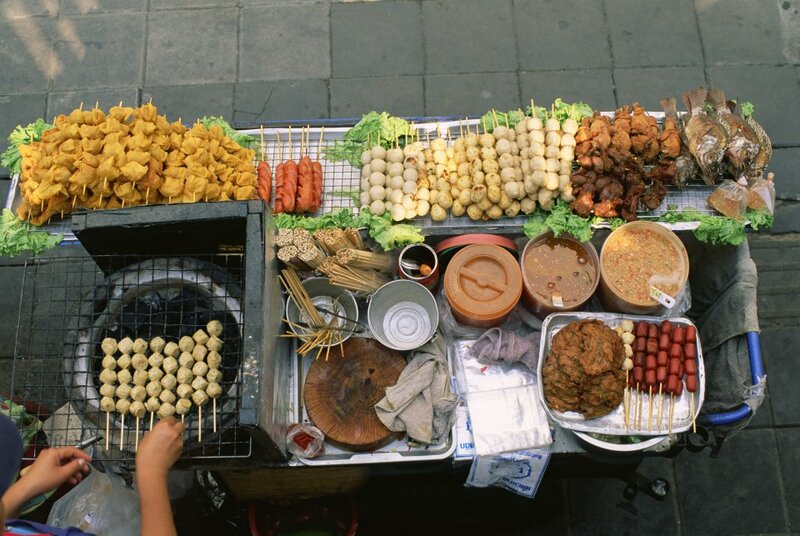 Since Thailand has been in the epicenter of these influences, Thai culture is truly unique. 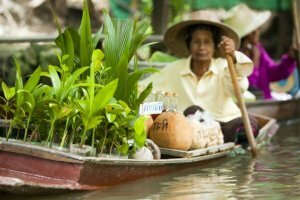 Thailand's varied landscapes and geography include forested mountains, fertile lowlands, golden beaches, and rain-forests brimming with wild life. Boasting 79 national parks; Thailand is home to wildlife like tigers, elephants, snakes, tapirs, bears, water buffalo and gibbons. 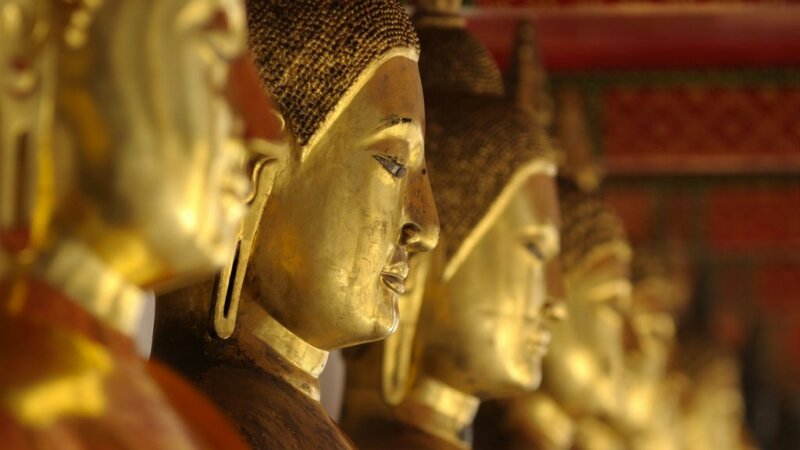 The Theravada School of Buddhism is the dominant religion in Thailand, the nation has a storied Buddhist history that is still felt today. Dotted with over 40,000 Buddhist temple's; tourist can marvel at the towering stupas, the incredibly ornate Buddhist architecture and the dreamlike atmosphere of the places of worship. Travelers are struck by the hospitality and the warmth of the Thai people, giving even more credence to the nickname "The Land of Smiles". After centuries of differing and warring kingdoms jostling for control of Thailand, in the mid-14th century, those kingdoms were united to form a single Thai Kingdom. Thailand, or Siam as it was known until 1939, has the distinction of being the one South East Asian nation to fend off colonization and never be under the control of a European country. A constitutional monarchy as formed in 1932, after a revolution. Since 1954, Thailand has been a US treaty ally because of its participation in the Korean and Vietnam wars. The political climate has been turbulent in the years following a 2006 military coup, unseating Prime Minister Thaksin Chinnawat, as well as being wracked by several street protests between 2008 and 2010. In 2011, the once Prime Minister, Chinnawat’s youngest sister, Yinglak Chinnawat was elected to the position on the Puea Thai Party ticket. Chinnawat introduced amnesty for those involved in the street protests, but this ultimately led to more unrest because the amnesty proposed would also apply to clearing charges for political crimes for politicians like Chinnawat herself. Due to public discontent, Prime Minister Chinnawat was removed from office and in 2014 there was another military coup. After the successful coup, General Prayut Chanocha was named Prime Minister in August 2014. After years of instability, the interim military government instituted several policies to reform the nation and create a new constitution. Fresh elections are slated to be held in mid-2017. Border Countries: Burma, Cambodia, Laos, Malaysia. Elevation Extremes: Lowest point: lowest point: Gulf of Thailand 0 ft. Highest point: Doi Inthanon 8451 ft. Requires U.S citizens to carry a valid U.S passport when travelling to Thailand. A visa is not required for U.S travelers whose stays won’t exceed 30 days. Thailand is a South East Asian country that spans 198,116.74 sq mi., with 197,255 sq mi of land and 861 sq mi of water. The currency in Thailand is the Baht. Banks, which are open Monday to Friday from 8:30 to 15:30, give the best exchange rates. You will receive a better exchange rate in country than overseas so it is advisable to wait until reaching Thailand to exchange your money. At the Bangkok airport arrival area there are banks offering the same rate as you will find in the city center. In tourist areas, there are also currency exchange outlets that stay open later, usually until around 20:00. ATM machines are found throughout the country and most will accept foreign ATM cards. Credit cards are widely accepted in hotels, restaurants and other businesses. ATMs for withdrawing Thai Baht are widely available in major airports, shopping malls, hotels and almost all provincial banks in Thailand. For most banks there is a maximum withdrawal of 20,000 THB per transaction; however several withdrawals may be made in a single day. Ask your tour guide for help when you need to locate an ATM. Comfortable lightweight clothing in natural fabrics such as cotton is most suitable for traveling in Thailand. The dress code is fairly casual as in most parts of the tropics but it is advisable to cover arms and legs in the evenings against biting insects. A lightweight raincoat is a good idea in the rainy season. During the winter months from November to February, warm clothing is needed for visiting northern Thailand. Visitors should not wear shorts, short skirts or other skimpy clothing when visiting religious buildings and shoes should be removed before entering a private home. The basis of a Thai meal is rice, usually steamed although it can be made into noodles, while glutinous or sticky rice is preferred with some specialties. Accompanying the rice are main dishes featuring vegetables, meat, seafood, egg, fish and soup. 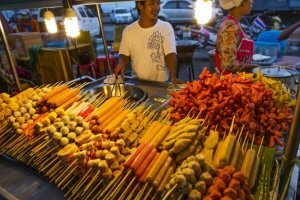 Although Thais generally prefer hot, spicy food, not all dishes are so intense and there are grades of hotness as Thai food can be modulated to suit most tastes. Thailand is also the perfect place for a large choice of tropical fruits such as mangoes, pineapple, bananas, longan, mangosteen, jack fruit, as well as the famous durian, dubbed 'the fruit of the gods' for its very special smell and taste. Textiles are possibly the best buy in Thailand and Thai silk, considered the best in the world, is very inexpensive. The Thai shoulder bags known as yâam are generally well made and come in many varieties, some woven by hill tribes. Other items to look out for include gems and jewellery, silverware, bronze ware, woodcarvings, lacquerware, celadon pottery, leather goods and tailoring. The best time to visit Thailand is from November to February when the weather is dry and the temperatures are not too hot. During these winter months, the temperatures in the far north can drop down to freezing during the evenings, so trekking and camping trips in these areas are not recommended. From March to June, the heat returns with temperatures soaring to over 100 degrees Fahrenheit during the day time. However there is rarely any rain during this time and the humidity is low. Thailand’s rainy season begins toward the end of June and continues until October. During this time the humidity can be stifling as it rains on a daily basis, usually in the afternoon, but it is also the quietest time for travelers meaning hotel prices drop and popular tourist spots are blissfully uncrowded. The Southern Thai beaches are faced with two weather systems which bring the tropical rains at different times of the year, so it's possible to enjoy Thailand's beaches year-round. From January to September you can choose a beach on the east coast such as Koh Samui or Koh Phangan where you will have the best chance on sunny and dry weather while from October to April the west coast, including Krabi, Khao Lak, Koh Samed and Ko Chang, offers the best chance of getting an all over tan. Some beaches can be visited all year round such as Hua Hin, Koh Samed, and Koh Chang. The country's beating heart, Thailand's capital city is home to diverse and varied cultures, languages and people. On the surface Bangkok is now a modern Asian mega city with towering steel and glass skyscrapers and a justified reputation for traffic and smog, but scratch through the veneer and a gentler, peaceful and very oriental face is revealed. 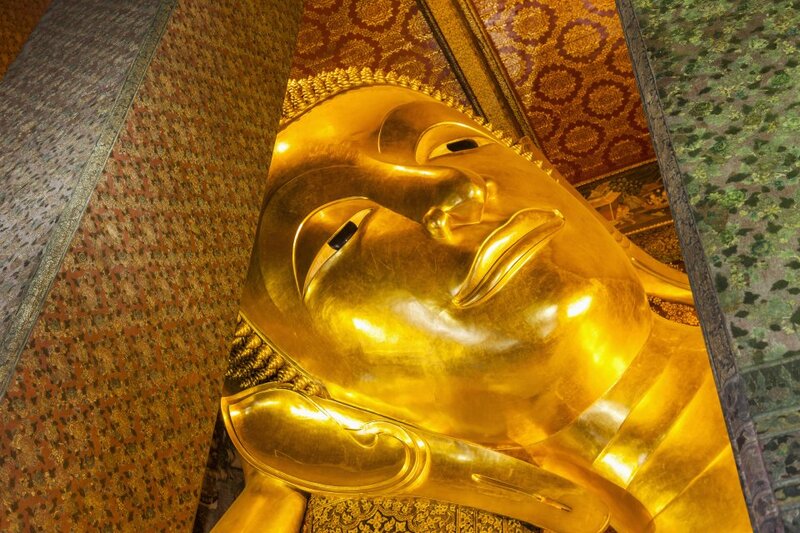 Bangkok is not just one of Asia's most exciting cities; it is a great place to discover a unique culture. Where else can you take a canal-boat from your ultra-swanky designer hotel to a floating fruit market around the corner before arriving at a golden Buddhist temple? 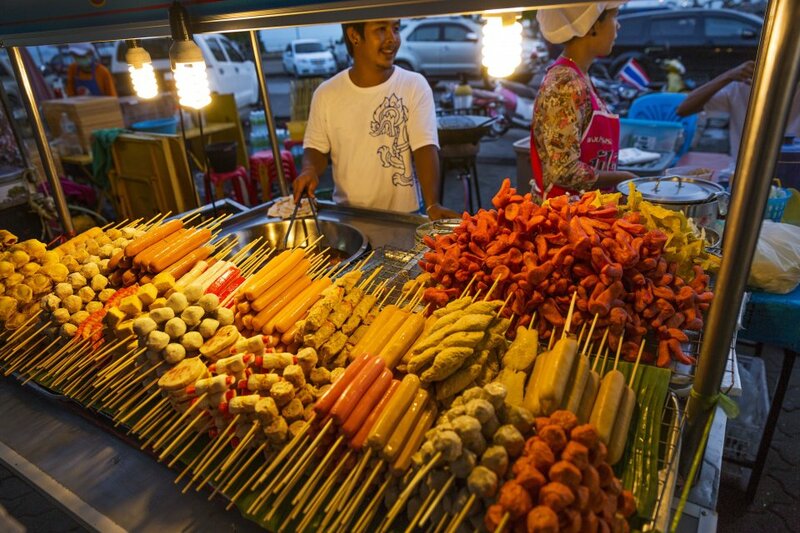 Shop, spa, eat, drink, party: Bangkok has it all. Many people rush in and out of Bangkok on their way to beaches or to Chiang Mai or Indochina where they expect to discover the real Asia. Those in the know will tell you that the real Asia is right here in Bangkok. Chiang Mai, Thailand's second-largest city, is the gateway to the country's north. Chiang Mai has grown rapidly into a large and dynamic city in recent years but it still retains a great deal of charm within its ancient walls and has much to offer visitors. Much more compact and easier to navigate than Bangkok, it is here that visitors come to immerse themselves in some of Thailand's extraordinary culture. Whether chatting with Buddhist monks, observing the skilled artisans, riding bicycles through the surrounding villages, flying in hot-air balloons or white water rafting, there is plenty to do and see in the north of Thailand. The area earned its name due to the wealth that opium trading used to bring. 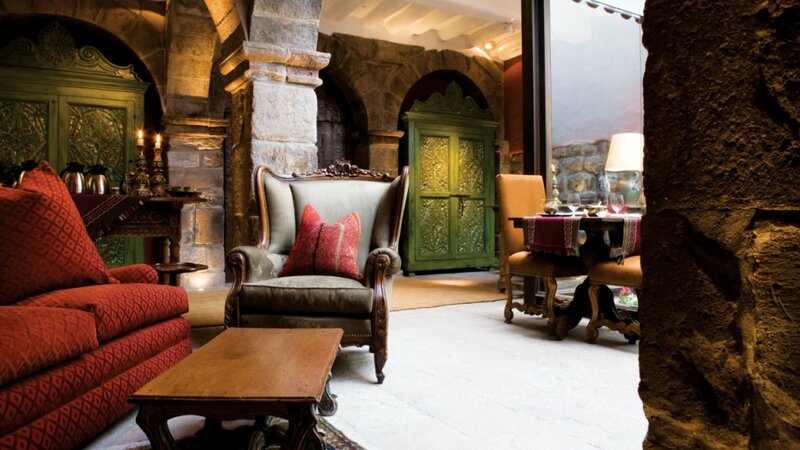 Nowadays the opium has gone but the area still retains an allure. The mountains of Myanmar and Laos are easily visible and ruined cities such as Chiang Sean and The Hall of Opium Museum offer evidence of a long and checkered history. The area around the museum is a bit touristy but once you are on a boat trip on the Mekong River you can dream away while closely passing Burmese and Laos countryside and even make a stop on the Lao side of the river and sip Beer Lao or send a postcard from Laos before heading back to the Thai side. The area around Chiang Rai has been cultivated using organic, sustainable agricultural techniques and is farmed by the hill tribe people of the area. It is a great place to explore on an elephant's back, and is the picture-postcard vision of verdant Thai rice terraces and orchid-clad hillsides. The Mekong River forms the border with Laos for a few hundred kilometers from the Golden Triangle to the south offering a scenic route to access the beauty of northern Laos and the city of Luang Prabang by river. Sukhothai is one of Asia's most under-rated world heritage sites. Although not as extensive as Angkor Wat, Sukhothai really should be compared to its more famous neighbor in Cambodia as a truly world class heritage site and visitors to Thailand who don't make the effort to go are really missing out on something special. Between Sukhothai and Ayuthaya, the cities of Lopburi, Kampaeng Phet and Uthai Thani are all historical treasures lying in the Chao Phraya River basin waiting to be discovered. Lopburi rose to ascendance in the 10th century when it was under the influence of the Khmer kingdoms and the ruined sandstone temples are still very much in evidence and worth visiting. Be warned that monkeys have taken possession of many of the ruins so keep an eye on your cameras. Kamphaeng Phet can be visited on the way to Sukhothai or as part of a day trip from Sukhothai and has an interesting historical park with numerous chedi and stupas - one of which once contained the famous emerald Buddha. Uthai Thani is a beautifully preserved Thai town located on the Sakae Krang River, a tributary of the Chao Phraya River with interesting temples and a vibrant market place. Once a resting place for Rama IV, Uthai Thani is an ideal stopping point on the way north from Bangkok and with comfortable accommodation now available as well as interesting river boat rides - it is the perfect place to immerse yourself into the real Thailand. Immerse yourself in the charm of Thailand, looping from the capital Bangkok to Chiang Mai via destinations such as Kanchanaburi and Ayutthaya it is a classic Thai journey encompassing fantastic food, golden temples and stunning scenery. Includes: Bangkok, Kanchanaburi, Nakhon Pathom, Ayutthaya, Lopburi, Phitsanulok, Sukhothai, Lampang and Chiang Mai.